We’re proud to announce a brand new machine in our lineup. Since we launched the original Modbar Espresso system (“Modbar EP”) and the Steam and Pour-Over systems in 2013, we’ve been learning and responding to feedback from our customers. With the help of La Marzocco we have introduced a new product improvement system, and brought our R&D team together with La Marzocco’s team. This collaboration has given us the resources needed to build what we feel is the natural addition to the Modbar product line. The most consistent and stable under-counter espresso equipment available and the first product designed in collaboration between Modbar and La Marzocco. Modbar AV is a ground-up rethink, engineered from scratch based on the footprint of our original system. 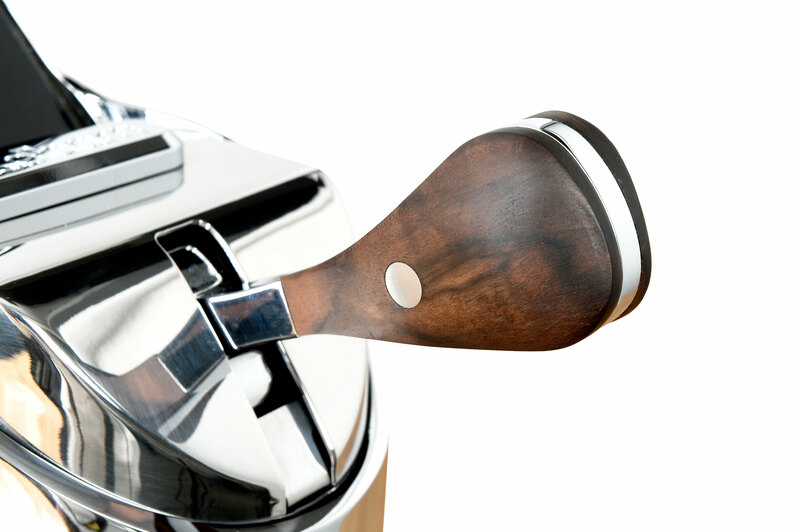 When we started thinking about the next machine to add to the Modbar lineup, we wanted to create something completely new but preserve the iconic look and feel of our Espresso tap. Rather than redesign or update the original Espresso system, we turned to a tried and true friend we knew would provide a solid foundation for a new machine: the Linea PB. The Linea PB was designed to carry on the “workhorse” legacy of the Linea Classic, while also giving the barista new tools to prepare coffee more consistently. Blending new R&D and lessons learned from the Linea PB development, we were able to develop a new product with that familiar Modbar design, while overhauling what’s inside. What we’ve ended up with is the next generation in the undercounter category. Modbar AV delivers an elegant above-counter espresso tap with a simple barista interface, reliable auto-volumetric dosing, and the option of integrated scales to suit the modern cafe workflow. We believe it answers every barista’s desire for a reliable, consistent, and beautiful machine that removes all barriers to remarkable hospitality. Backed by 90 years of La Marzocco’s excellence in espresso machine technology, Modbar AV offers an art piece for the countertop with a workhorse under the hood. Modbar AV also provides something that no other under-counter espresso machine is able to offer: the reliability of La Marzocco. 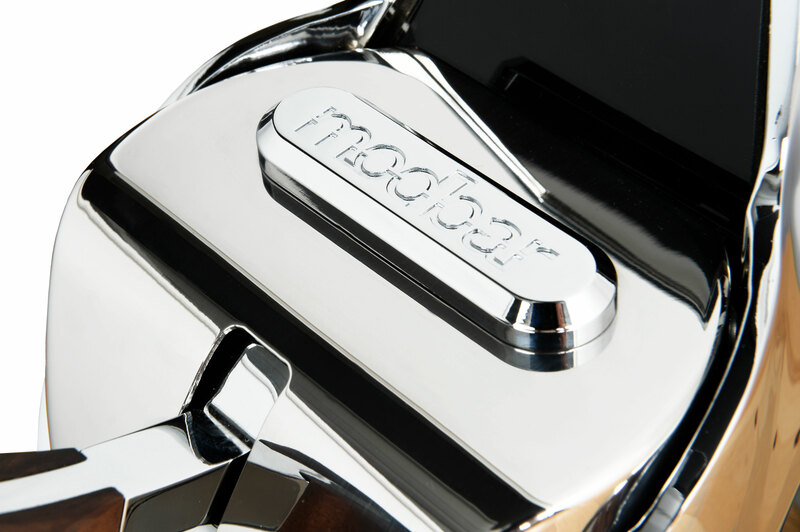 Based on R&D from the Linea PB, Modbar AV comes with the same level of reliability, performance, and temperature stability that made the Linea PB an industry icon. Speaking of temperature stability, we approached it a little differently for Modbar AV. In a typical above-counter machine, you’d make a large mass of water a constant temperature and keep the delivery pathway as short as possible. For Modbar AV, we designed a system built to expect and react instantly to changes. Modbar AV uses not just temperature, but also time and usage to decide how to set the heating program. 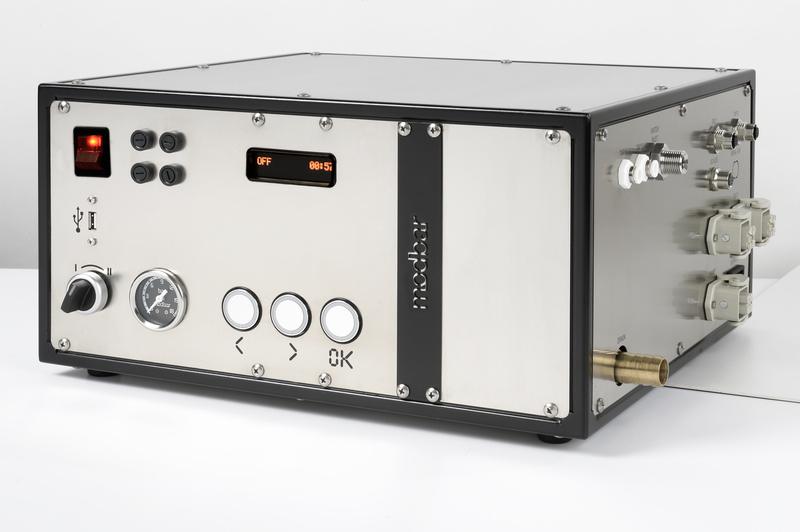 With several heating zones and multiple data inputs, Modbar is able to provide the same temperature stability of the Linea PB while separating the module and tap with 1.5 meters of tube. 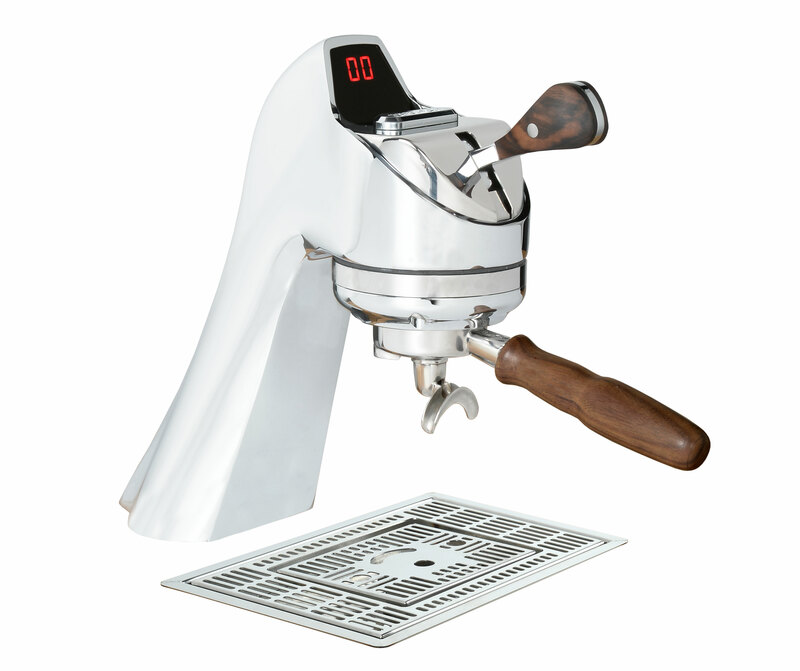 This ensures that every espresso is consistent and temperature stable, whether it’s your first shot dialing in the morning or in the middle of your busy rush. Add-a-Tap: module supports two taps with no decrease in performance. The second tap can be added to a module at any point, so you can begin your cafe buildout with a single group and grow to two when your volume increases. Linea PB Volumetrics and Optional Scales: Based on the design of the Linea PB, Modbar AV delivers absolute consistency and reliability from shot to shot. Using optional scales, baristas can program brew ratios or brew by weight depending on their workflow. Drip Prediction: La Marzocco has developed a new methodology for predicting when to stop a shot to hit the programmed target. The software maps the flow rate of each espresso shot and can accurately predict the future flow rate, so it can stop the shot without the need to program an offset. Simplicity in Serviceability: Power, water and drain connections have been moved to the side of the module for easy technician access. Under the hood, techs can quickly and easily find what they need to fix, update, or replace. Modbar AV hides the inner workings of the machine and delivers consistently delicious shots that evoke the feeling of espresso magic. Knowing they can rely on Modbar AV’s consistent, reliable auto-volumetric technology, baristas can shift their attention fully onto their customers, creating deeper relationships that keep visitors coming back. Consumers are treated to an awe-inspiring experience – as their coffee is delivered with a sense of magic. Perfect. 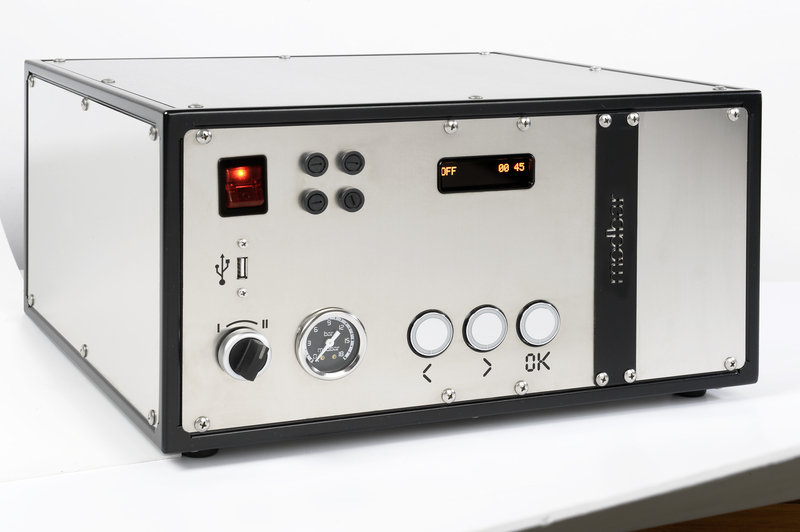 To learn more about the Modbar AV, check out the equipment page.